It all started with the second-annual Hope Through Harmonies event, which played out at Black Wolf Smokehouse on April 28. Local musician Sara Rose, a former placement student and now volunteer with Hospice Dufferin, wowed a crowd of more than 100 with performances from her upcoming debut album ‘Until Now’. The talented Sarah Pearson opened the show, while Ms. Rose was later joined on stage by popular band The Campfire Poets to close the evening out. 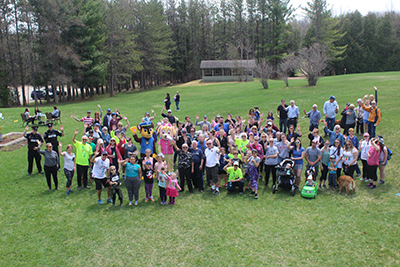 “It was really nice to see everyone come together again for such a great cause,” Sara told the Citizen.